Greenland had a new Gliders make offshore O&G Industry & Academia research vessel built in cheaper, more ef? cient. team for common purpose. Pushing forward on remote sensing technology. 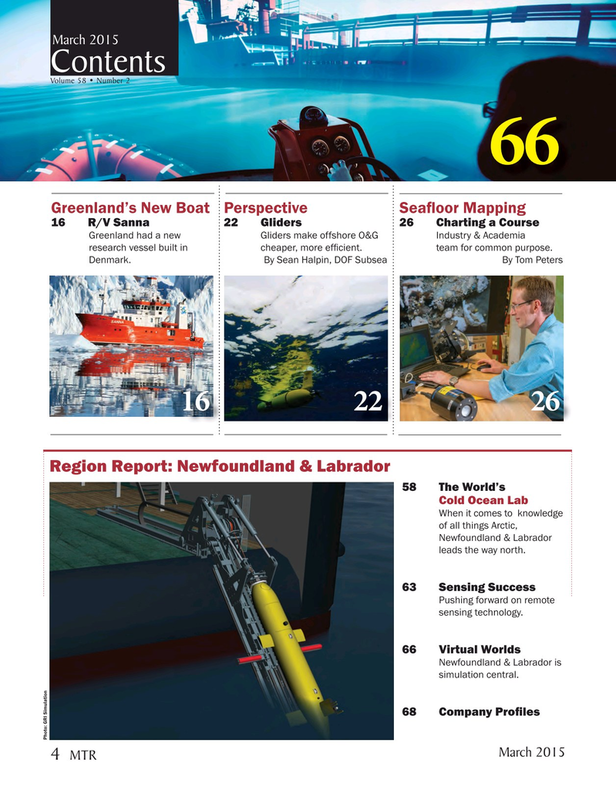 66 Virtual Worlds Newfoundland & Labrador is simulation central.